When Pokémon Go launched last summer, 40 million people were playing the game within weeks. The game provided entertainment, an excuse for kids to get off their asses, and a slew of funny — and not-so-funny — accidents involving pedestrians and drivers playing the game in the wrong place and time. 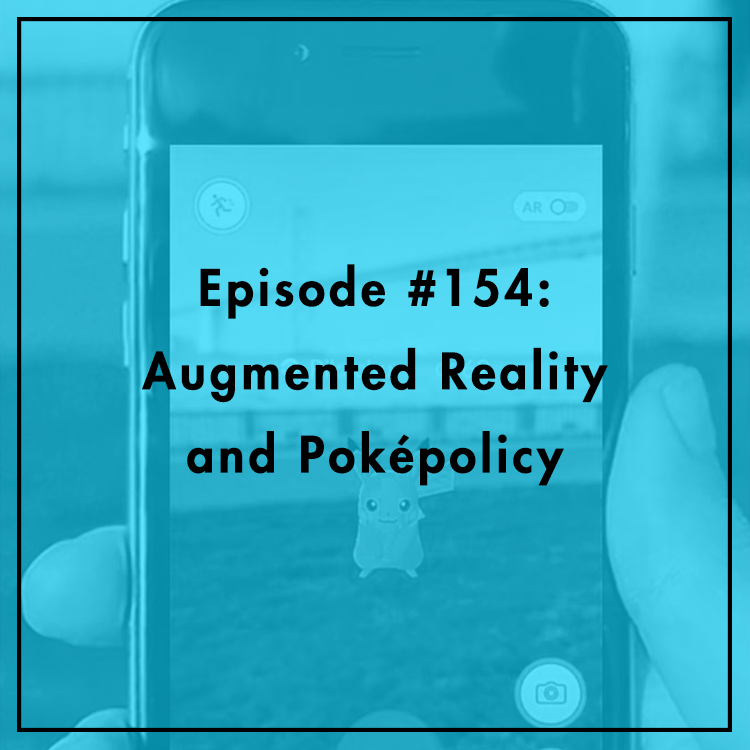 This phenomenon was also the first time many Americans had ever heard of or experienced “augmented reality,” where artificial elements (like Pokémon) are superimposed onto our physical surroundings. The game’s rapid rise caused the predictable backlash over health and public safety and kneejerk calls for regulation. But getting beyond traffic safety, what are the short- and long-term policy implications of augmented reality? What does it mean for privacy, data security, surveillance, and intellectual property? Anne Hobson, Tech Policy Fellow at R Street joins the show. For more, see her report.